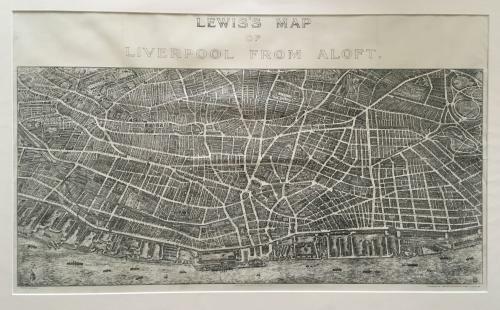 Title: 'Lewis's Map Of Liverpool From Aloft' With City+Shop Guide. A panoramic view of Liverpool in it's heyday. A wealth of information and street names, docks and ships are displayed. In excellent condition - sold in a picture mount and ready for framing.